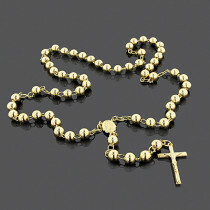 Solid 14K Gold Rosary Beads Necklace 8mm 36"
We are proud to present this exclusive Franco chain! 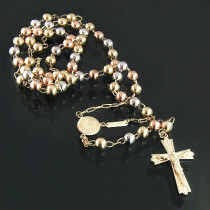 Italian quality in solid 14k gold. 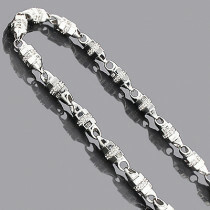 This one is a FRANCO chain with a lobster claw lock that will not snag your hose. 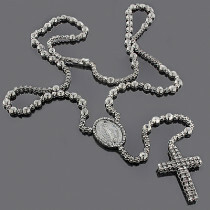 The FRANCO is a squared off chain and weaved together for a very expensive look. It takes the top of the line craftsman to make this one. Each individual facet is welded in a perfect fit for excellent movement and flexibility. It will not kink and you can roll it around your finger! 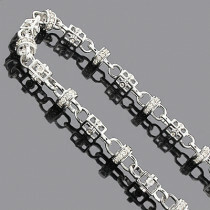 It is a polished type chain yet catches the light with your every move and is very durable in the 14K gold. 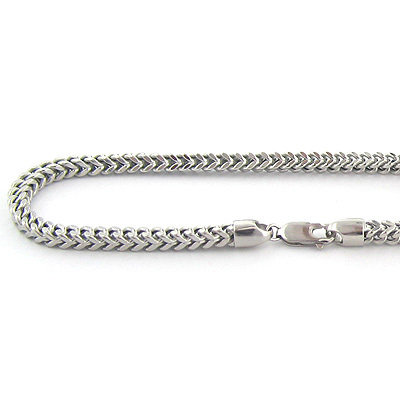 This chain is 4 mm in width and is available in white gold, yellow gold or rose (red) gold. 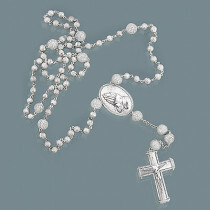 <br>- ~ 4 mm in width <br><br>- Stunning Franco Italian design. 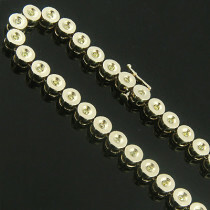 <br><br>- Solid 14K gold! No item is plated or bonded! 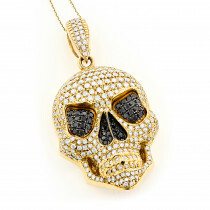 14K gold is the standard in the USA gold market. 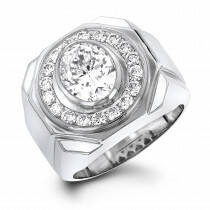 It is harder and more durable than 18K gold.<br><br>- All jewelry is NEW and top quality! Nothing is used! 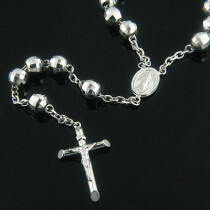 A: The weight of this chain in 36 inches is approximately 65 grams. 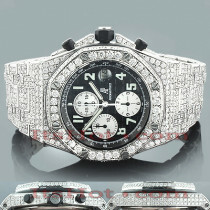 Q: i am interested in item FRC4, does it have a diamond cut? and can it be ordered in a 22 inch length? 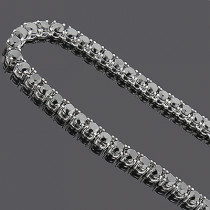 A: This is a regular Franco chain style (not diamond cut) and we can customize it for you in the 22” length (please give us a call directly to place an order for this custom length). 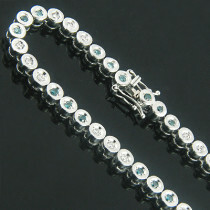 T h e   l e n g t h   i s   o k ,   t h e   q u a l i t y   i s   p e r f e c t & I t   h a s   a n   e x p e n s i v e   l o o k !